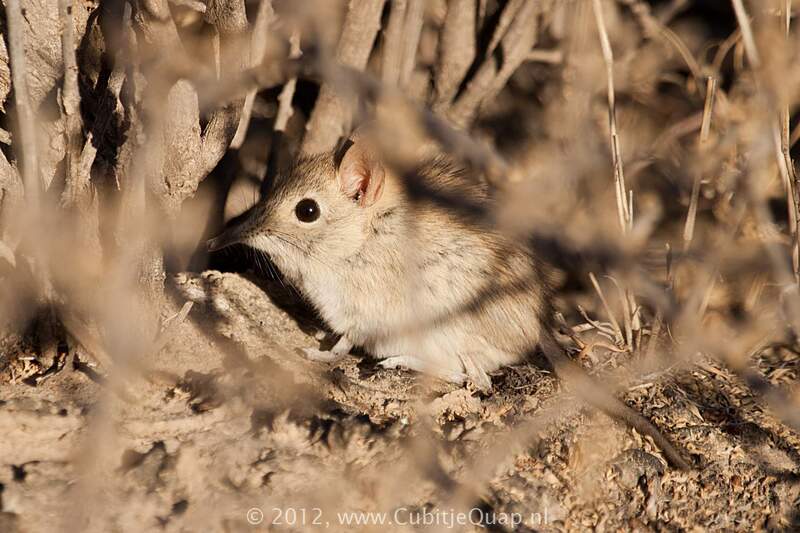 Elephant-shrews derive their name from their elongated, trunk-like snout. The hindlegs and feet are considerably larger than the forelegs and -feet and rapid locomotion is achieved by a series of hops. 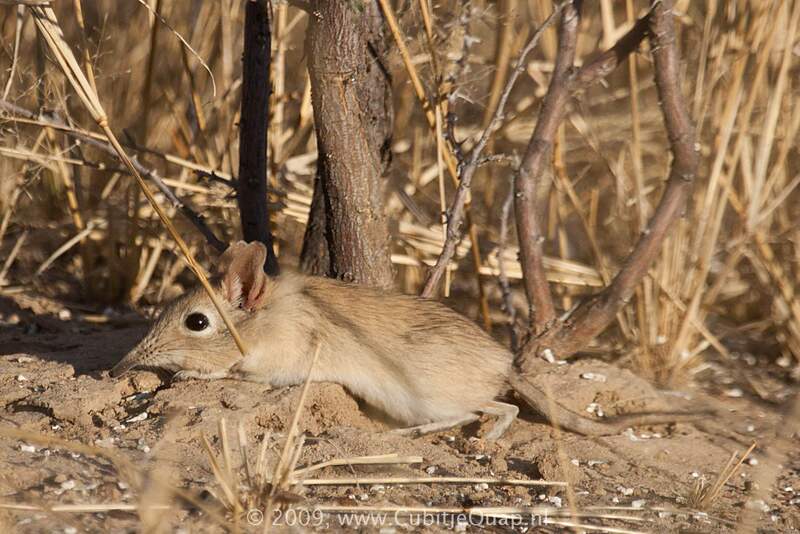 This species of elephant-shrew has white or greyish-white rings around the eyes and has reddish-brown to brown patches at the base of the ears. The colour of upperparts varies considerably. Underparts are paler than upperparts. 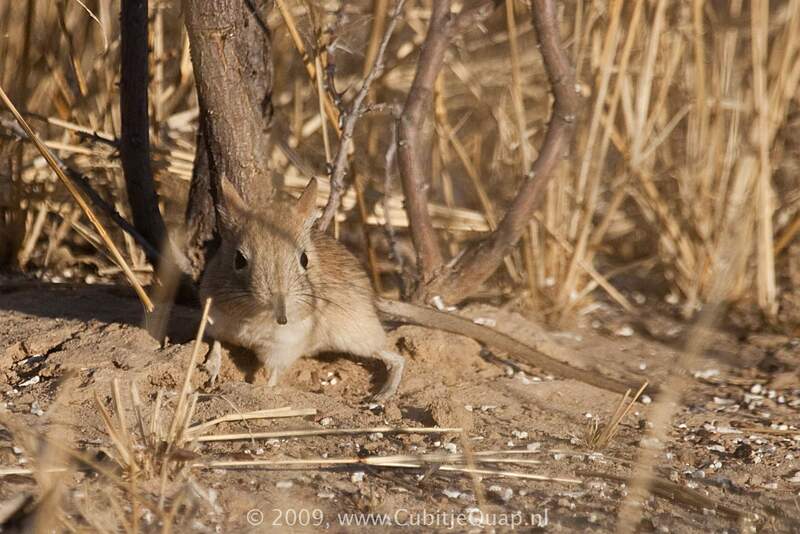 Most of the different species of elephant-shrews are difficult to tell apart. Distribution maps and habitat preference can be used for further identification. Almost entirely diurnal. Terrestrial and usually solitary, but in areas of high density, several animals may be observed in close proximity to each other. Species relying on bush or grass cover generally have regularly used pathways between shelters. 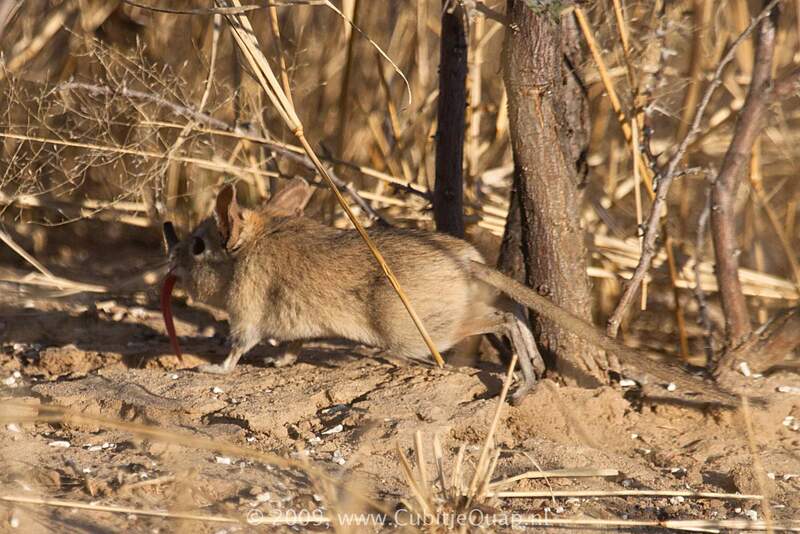 Elephant-shrews eat insects and other invertibrates, with a marked preference for ants and termites.